Sketching Working Experience: The Workbook provides information about the step-by-step process of the different sketching techniques. It offers methods called design thinking, as a way to think as a user, and sketching, a way to think as a designer. User-experience designers are designers who sketch based on their actions, interactions, and experiences. 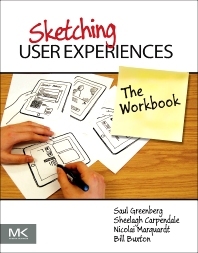 The book discusses the differences between the normal ways to sketch and sketching used by user-experience designers. It also describes some motivation on why a person should sketch and introduces the sketchbook. The book reviews the different sketching methods and the modules that contain a particular sketching method. It also explains how the sketching methods are used. Students, professors, and professionals from multiple disciplines; Computer Science, Industrial Design, Digital Media Design, Cognitive Science, Fine Art etc. ; User experience community (Information Architects, Interface Designers, Interaction Designers, Usability engineers, etc. ); Computer Scientist specializing in HCI and/or Information Visualization; Arts and Industrial Design community (Graphic Designers, Web Designers, Information Designers, Product Designers, Industrial Designers); Product Managers, Creative Directors, etc. Professor at the University of Calgary where she holds a Canada Research Chair in Information Visualization and an NSERC/AITF/SMART Industrial Research Chair in Interactive Technologies. 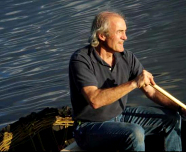 Nicolai Marquardt is a PhD candidate at the University of Calgary working with Dr. Saul Greenberg.